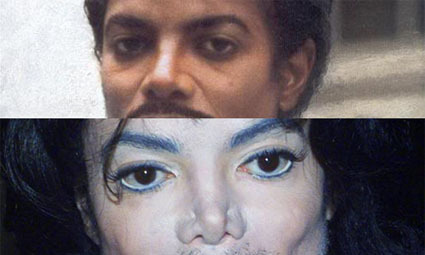 The Folly of Futurism: What Will Michael Jackson Look Like in the Year 2000? TAG Heuer recently ran an ad campaign for their Monaco brand watch. It was a contest to guess the winner of the above “Duel” between two important figures in the history of the Monaco series, Steve McQueen and Lewis Hamilton. The contest officially closed on June 10th, 2009. Apparently, it’s been one of TAG Heuer’s most popular online contests ever. 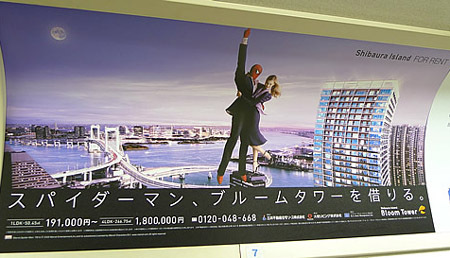 Tokyo resident and blogger on all things Japanese, Danny Choo, caught this image of Spiderman in a suit, selling apartments in the classy Bloom tower project. Japanese people can’t get enough of masked uperheros. I’d love to know how much the Bloom tower folks had to pay Marvel for that one image. It looks like Kellogg will be ending its endorsement deal with giant torso and Olympic swimmer Michael Phelps after a picture of him smoking a bong have surfaced in the UK tabloid News of the World. 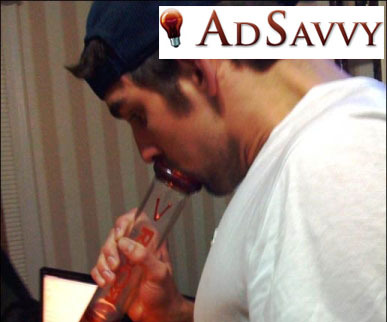 Phelps admitted to smoking weed and apologized for his “regrettable” behavior and “bad judgment”, and blamed it on youthful indiscretion. This really won’t put a dent in his income though, since he still on board with a load of major sponsors like Visa and Speedo. The irony is thick, as it always is. His face is on suburban t-shirts all around the country, and Hollywood is making a hero out of Che Guevara, aka the butcher of La Cabaña, the man who killed journalists, businessmen and merchants, presided over mass executions, prison labor camps, and caused economic ruin to millions. We’re big fans of Agent Provocateur here at AdSavvy. 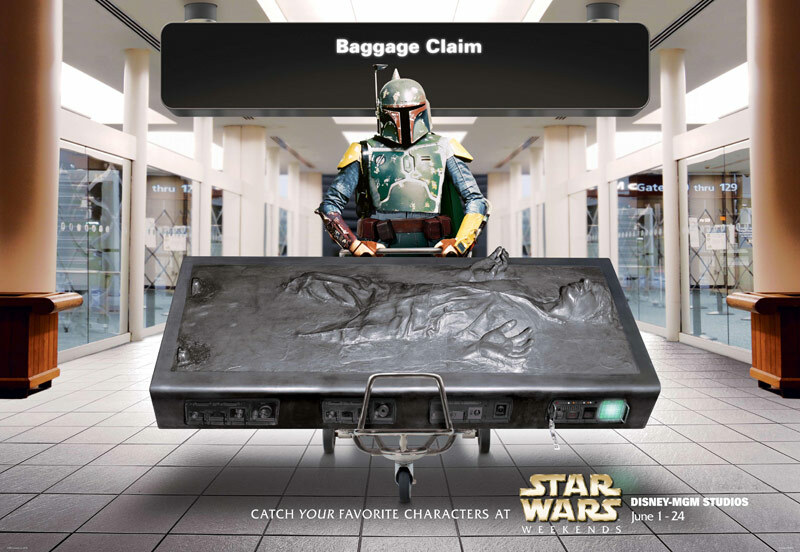 They’re hip, they have quality collections, and their advertising is top notch. Plus they always have the hottest models. We can’t get enough, and neither can consumers apparently. Even in economic tough times, AD is doing well. The company is poised for some rapid expansion following last years’s $120 million dollar acquisition by the private equity firm, 3i Group. There are already 40 boutiques worldwide, including 8 in the US, and their planning on building even more: Boston, Chicago, Bahrain, Geneva, Puerto Barres, Madrid, St. Petersburg, and Germany to name a few. AD also had a fragrance launch party in London recently where Daisy Lowe showed off the goods on the catwalk.